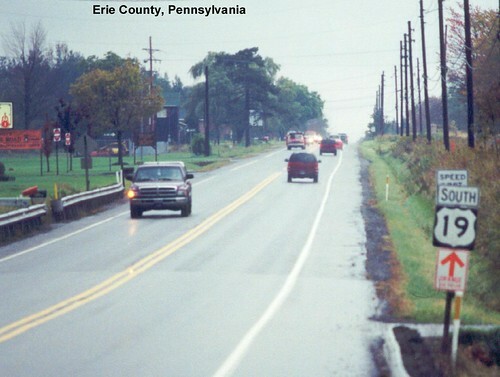 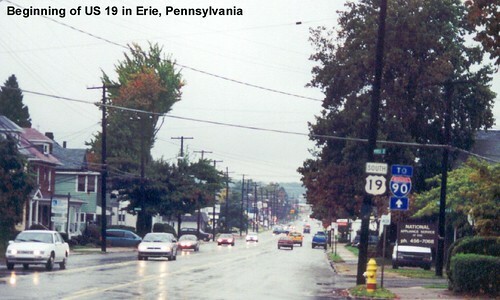 We begin our journey on US 19 in Erie on a rainy autumn day. 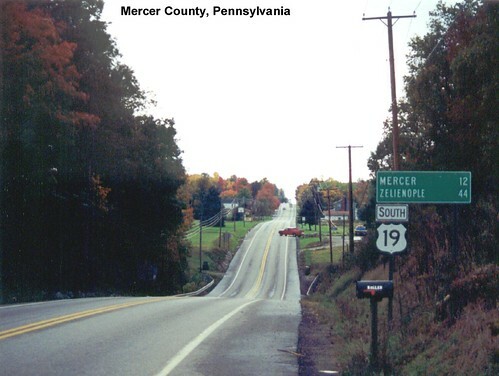 US 19 is multiplexed with US 6 in Erie County. 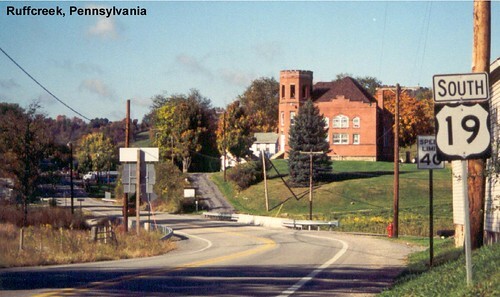 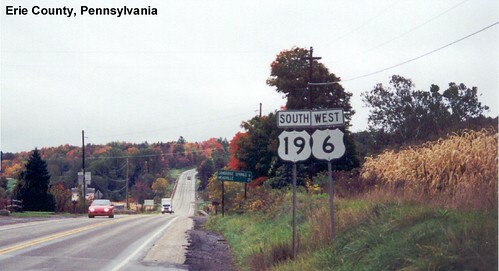 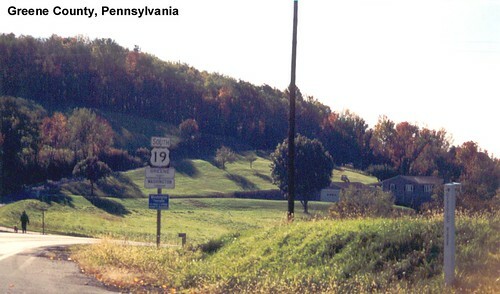 I-79 parallels US 19 through Pennsylvania so US 19 remains a quiet two-lane road for most of its length. 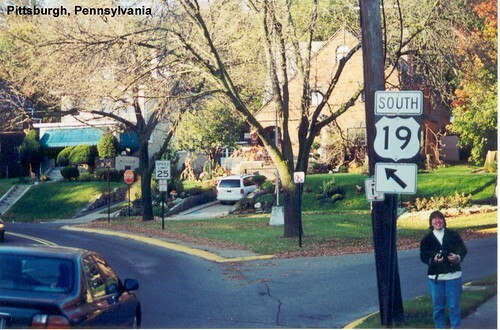 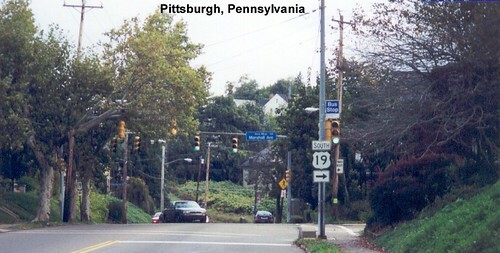 US 19 winds its way through Pittsburgh. 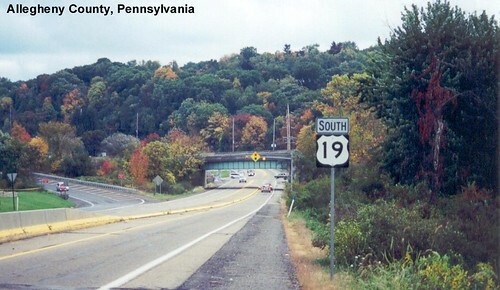 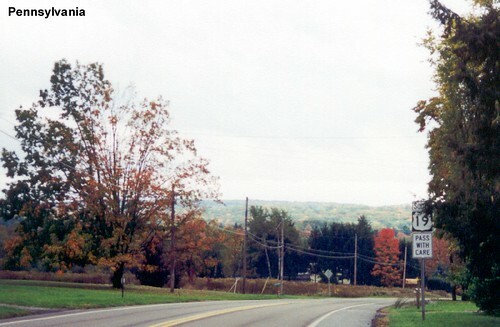 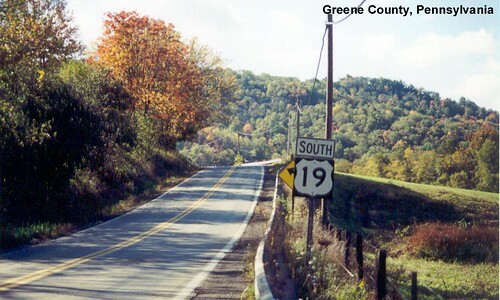 US 19 in the hills south of Pittsburgh.